Ikano Bank has entered the savings market with a three-year fixed rate bond that pays 2.55% upon its anniversary or 2.52% monthly. Savers must invest from £1,000 up to a maximum of £1million. Additions are allowed within 14 days of the account opening but early access to funds is not permitted. This deal is for savers aged 18 and over and can be operated by telephone and online. Savers should note that Ikano Bank protects its deposits under the Swedish compensation scheme, not under the UK Financial Services Compensation Scheme. Ikano Bank has launched into the savings market for the first-time with a three-year fixed rate bond. Paying 2.55%, this deal is highly competitive and heads straight into the Moneyfacts.co.uk Best Buys as a result. 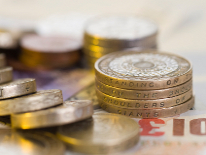 Savers looking for a competitive rate of interest will be delighted by this newcomer, but they must be comfortable tying up their money for the full term. United Trust Bank has increased the rate on its one-year fixed rate bond, which now pays 2.15% on maturity. Savers can invest from £500 up to a maximum of £500,000. Additions and early access to funds are not permitted. This deal is for savers aged 18 and over and can be operated in branch or by post. This increase from United Trust Bank sees its one-year fixed rate bond cement its place within the Moneyfacts.co.uk Best Buys. This is a great choice for anyone looking for a short-term home for their savings. Halifax has reduced the rate of its two-year fixed rate mortgage, which is now priced at 1.84% to 28.2.18. This deal is for house purchase customers only who borrow up to £1 million at 60% loan-to-value. A fee of £790 is payable, all of which can be added to the advance of the mortgage. This deal has the flexibility of being able to make overpayments of up to 10% of the outstanding balance as well as take payment holidays. The 1.84% two-year fixed rate deal from Halifax is reasonably priced for the market. With a modest fee, this is likely to be a popular choice for any borrower with the required deposit who is looking for a high street lender. Halifax’s lending area includes Scotland. Barclaycard has reduced the balance transfer fee on its Platinum 37 Month Balance Transfer Visa. This deal has a 37-month interest-free term for balance transfers with an introductory fee of 2.54% after a partial refund. Customers must transfer balances within the first 60 days of the account opening to qualify for the 0% deal. Purchases are charged at 18.9% APR, with the first six months being interest-free. Borrowers must be at least 21 years old and have a minimum annual income of £20,000. Applications can be made online, by post and by phone. Borrowers looking to consolidate their credit card debts over the long term will be delighted by this latest update from Barclaycard. The new lower fee ensures that this competitive deal is even more cost-effective, which will appeal to those looking to keep costs down.